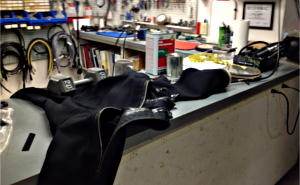 We are specially trained in the repair of dry suits, waders, and wet suits. We provide the best in quality materials, maintenance, and meticulous repair. 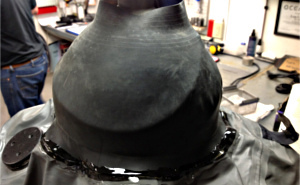 We use the highest quality latex and neoprene replacement seals. We replace seals for wrists, neck, ankles and socks. We repair tears, punctures and seams. 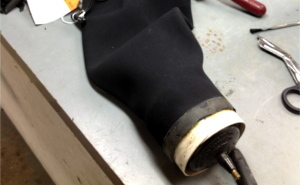 We provide zipper and dry suit valve repairs and replacements. You'll be impressed with our quick and efficient turn-around time. 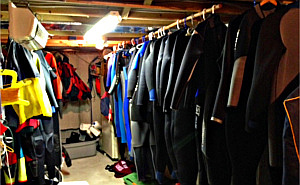 Bob Peck and staff welcome everyone for a safe, enjoyable, and refreshing experience scuba diving!